Title, Appendices and Reference pages are done free of charge. Where the assignment requires more words/pages than paid for, we will create new invoices, which must be settled before the paper is emailed to you. Urgency is what mainly determines the pricing of the papers. We have partnered with PayPal for secure payments. 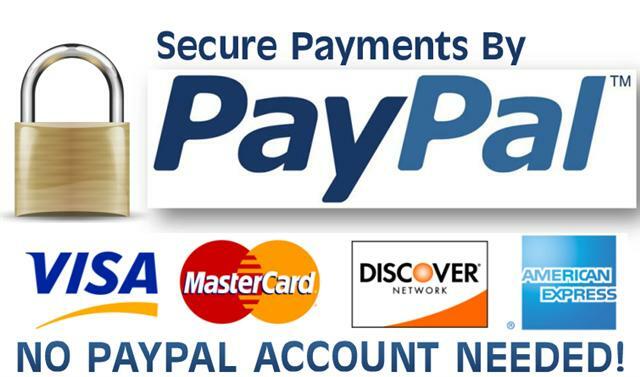 You do not have to be a registered PayPal account holder to pay through PayPal’s platform. PayPal allows our customers to pay with Credit or Debit Cards, making it the efficient way to pay for your paper. We will amend your paper free of charge, as many times as you want, until you are satisfied. We can compensate in different ways such as; Writing a free paper if you fail or where you do not need a rewrite, we offer a full refund on condition that the request is made before you download or submit the paper. Our services are prepaid; therefore payments must be done before the writing begins. Where the payment is not made after one places an order and the deadline expires, we will not take responsibility for late submissions. If you chargeback, that will cause us to publish the completed paper on the internet meaning if you submit the paper to your University it will be found to be plagiarized. You will contact us via email, telephone, message board, and live chat. We accept no liability concerning the consequences or outcomes from the use of our services or by extension your final grade for your studies. Our website has a multiple encryption deployed, we guarantee no one can uncover your entity; none can access your financial or personal details. The paper you buy from us is solely intended for your personal use only, and it may not be reproduced, distributed, broadcast or re-sold, without our prior written permission.